"This libidinous period novel follows three budding feminists through an elite women’s college, the New York art scene, and Allen Ginsberg’s bed, as they redefine womanhood for themselves and future generations." 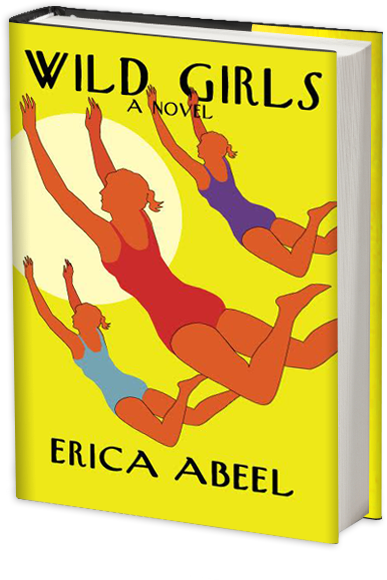 "Erica Abeel IS a ‘Wild Girl’— she lived the life, these are her friends, and this is an insider’s peek into that world." "This book will bathe the reader in a time and place in which female self-invention was never more important, exhilarating, and challenging...I can hardly think of a timelier read." "Erica Abeel writes with the eye of Margaret Mead and the soul of Tolstoy. In stunning and electric prose she gives us captivating – thrillingly flawed – characters and we embrace them, even when it might be wiser to flee." "...She shows us the brilliance and devastation of love; the hidden geometry of complicated marriages; and the interwoven force fields of deep friendships." Three college friends from the 50s blaze their own path in love and work, braving the stifling conventions of the age, and anticipating the social thaw that would arrive ten years later. These "wild girls" pay heavy penalties for living against the grain, but, over the years, rebound and re-set their course, drawing strength from their friendship. The novel follows them from an elite northeastern college, to Paris with Allen Ginsberg, to New York’s avant-garde scene in the early sixties, to a mansion in Newport, to the slopes of Zermatt, to Long Island’s Gold Coast, as it celebrates the nimbleness and vitality of women who defied an entire culture to forge their own journey.